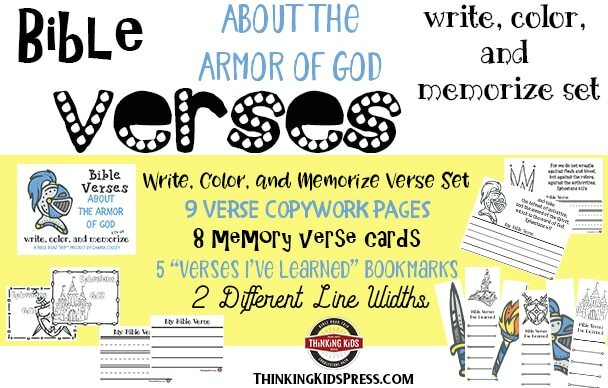 Do you want your kids to learn about the Armor of God from Ephesians 6:10-18? Thinking Kids Press has a number of resources available for you. Just through August 15, 2018, you can grab the Write, Color, and Memorize set: Bible Verses about the Armor of God in either ESV or KJV for FREE!